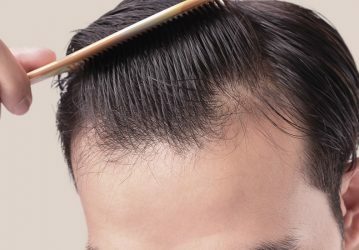 The hairline is understood to be the border between the forehead and the hair, which can change drastically both in men and in women over the course of time. The consequence of this is, for example, a receding hairline, which forms in the corners of the brow. However, should the hairline sit too far up, those affected often complain of a too-large forehead. 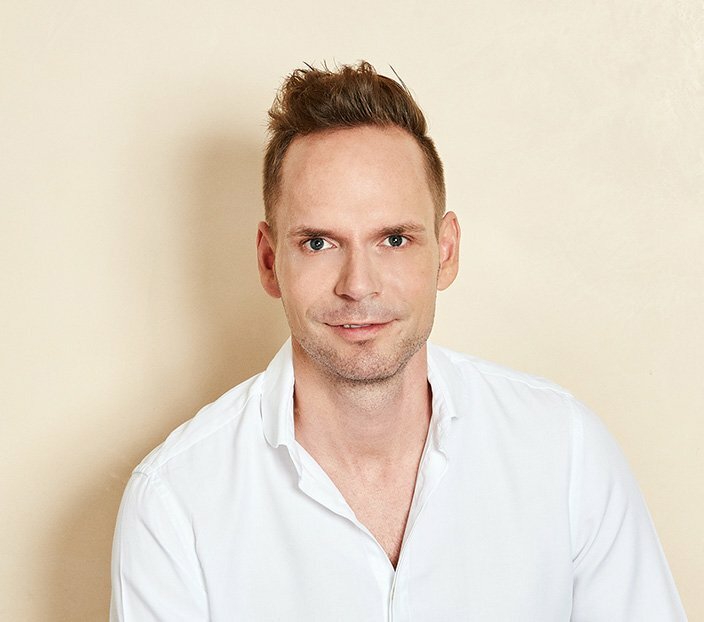 With a hair transplant, the hairline can be relocated as desired and, above all, permanently. In order to determine the position of the new hairline, we at the HAARZENTRUM AN DER OPER orient ourselves towards the so-called “golden cut”. Here, the face is divided into three units of equal size. The resulting difference in the upper-most third is then filled in with the innovative DHI method, whereby approximately 90 to 95 percent of the hairs extracted for transplant survive, in contrast to traditional transplants. Using this unique method, individual hairs are extracted using 0.7-millimetre microstamps. 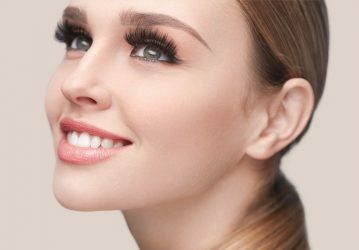 It is only through this method that a natural result can be guaranteed, without the ‘tufts’ of hair which result from implanting two or three hairs with their roots at once. The central area at the back of the head is most suitable for extraction due to the robust hair growth found there. Subsequently, the follicles which have been removed using a tiny needle are immediately implanted into the hairline. Thanks to the patented DHI implanter tool, no incision holes are required to do this. 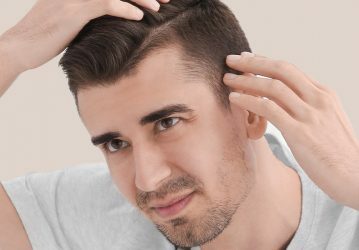 Rather, the follicles are implanted directly into the scalp and, in this manner, the depth, direction of growth and angle of each individual hair is determined exactly. Another advantage of the DHI method: the direct implantation reduces the risk of the hair follicles drying out and promotes long-term results. What’s more, at the HAARZENTRUM AN DER OPER, we ensure that the transplanted hairs can later hardly be recognised with the naked eye. 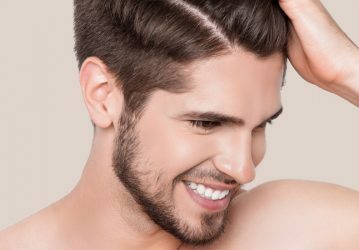 This is also supported by our placing of faint receding hairlines, which is critical in providing a natural looking result, particularly among men. Long hair does not need to be trimmed or shaven prior to the treatment. 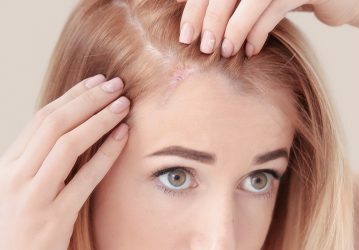 In order to facilitate the best possible outcome, you should refrain from taking painkillers which contain acetylsalicylic acid and from using hair loss lotions which contain minoxidil. The transplant is carried out under local anaesthetic as an outpatient. The minimally-invasive procedure is not associated with any excessive bleeding or stitches, and is thus almost pain-free. The first new hairs are visible after approximately two months. The final result is then apparent within one year. You are allowed to wash your hair again as early as four days after the operation. However, you should only use a special shampoo to do so, which we also recommend you continue using for subsequent washes. It is also advised that you shampoo and comb your hair with care. The success of the treatment is documented in detail through regular aftercare appointments.